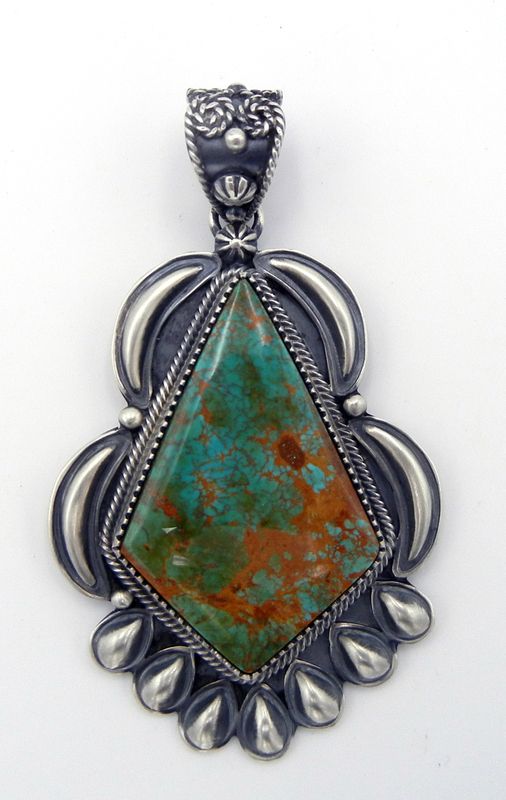 A single, large, diamond shaped stone of Kingman turquoise rests at the center of this stunning Navajo pendant. 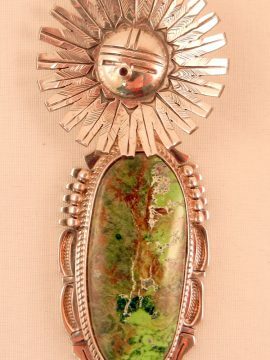 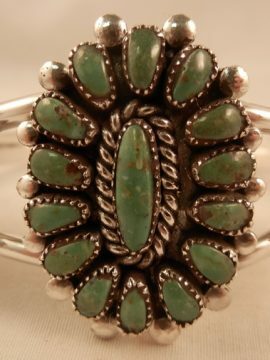 The stone, set in a sawtooth sterling silver bezel, varies blue to light to dark green in color and contains large portions of light brown matrix running throughout. 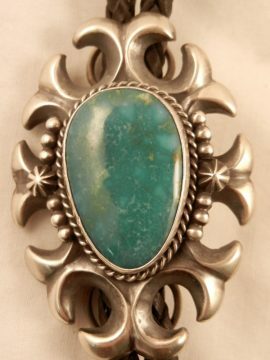 It is bordered at the base by a sterling silver rope pattern, and surrounded by appliqued sterling silver repousse work, including crescent moons and tear drops. 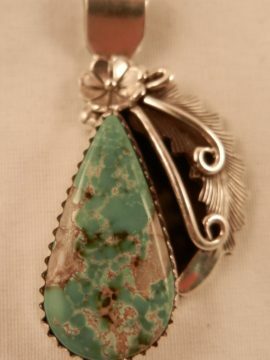 Bail of the pieces features appliqued star patterns, dots, and scrolled sterling rope patterns, and brushed silver gives the piece a vintage look. 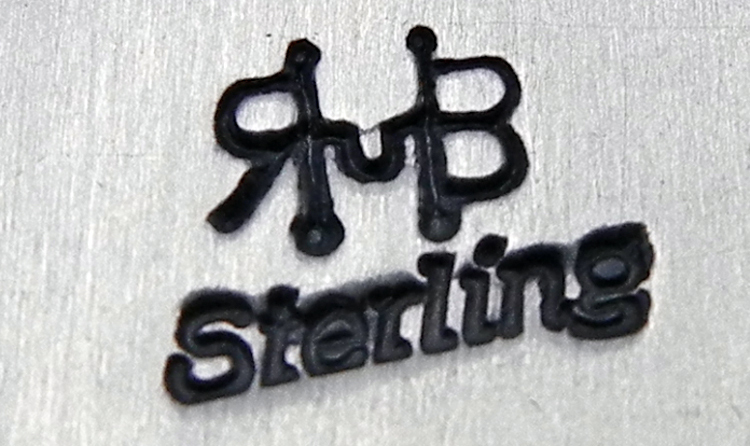 3″ long including bail x 1 3/4″ wide.